The Hunting Ground had me hooked from the moment I picked it up. 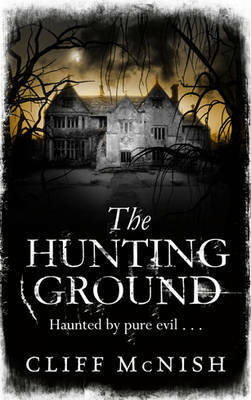 The Hunting Ground is a fantastical, fast paced thriller with a touch supernatural. Definitely everything I wanted. I kept me engrossed and left me wanting more and the end of each chapter. It had twists and turns and the detail was thrilling. It kept me on the tips of my toes throughout the whole two hours it took me to devour this book. This hunting ground follows the story of Brothers Elliott and Ben, in which they have moved to the, daunting and terrifying Glebe House, but it also incorporates a lot of the history of the house, portrayed through the diary of a boy named Theo Stark. The brothers are drawn to the East Wing of Glebe house, home to dangerous and Death loving ghost Cullayn. The book is perfectly written, with chapter filled with horror and ghosts only to find the next chapter a lot less intense and so to calm you down and stop you looking behind you, scared to your wits expecting to see Cullayn with a musket. The book is set both in modern times and in the past. The diary of Theo Stark is a story within the book and I thoroughly enjoyed it. It’s mysterious and dangerous. The edginess of it gives you thrill to the darkness that awaits Ben and Elliott. The book has a fantastic plot line. It keeps the thrill the whole way through with surprises awaiting you in each chapter. The story slots together one part at a time, like a jigsaw completing and when it’s finished, boy, it is worth it. I would have to say the last couple of chapters were tantalizing. They were sending shivers through my body, keeping me alert and awake. They were full to the brim with action and ghosts. I particularly enjoyed the scenes in which Janey and Elliott are running throughout the east wing and they finally arrive in the hidden room. It is such a clever idea to have Theo in the tapestry and it is so immense when the ghosts pull their forces together to finally destroy Cullayn. My favourite character is definitely Eve. She is so innocent and childlike yet so deadly. She had multiple personalities, and is under the influence of Cullayn, and even though she questions herself she follows him, until, surprisingly she strikes the final blow. She was killed young and is a mature woman in a Childs body still with the desires of a child. Janey is an interesting one. Very deceiving, yet so fragile and as clear a glass to see through. I think she is the one character I felt for a lot. She lost the one she loved, became influenced by the one she hates, and nearly gets killed multiple times. Cullayn is totally evil, but hey, everybody loves a good villain, and boy did he do his job. Sly and twisted Cullayn portrays the perfect supernatural evil being, and he plays the part perfectly. Of course he dies (Good over Evil) but thanks to him I had a fantastic time reading McNish’s new novel. At around 320 pages McNish’s novel has everything I wanted. It was intense; edgy dangerous, filled with supernatural beings and of course the spot of romance. If followed a fantastic plot and was beautifully written. I am glad to say this is McNish’s best novel yet and I hope to god he has more to come.